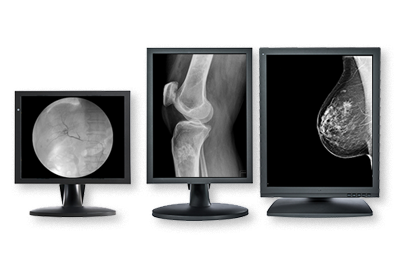 DIVA's Monochrome Monitors for Radiology and Medical Imaging are specially designed to display organs, tissue, bone and fluid in minute detail, brightness and contrast, providing radiologists and clinicians with the most accurate images for review and diagnosis. All DIVA monochrome monitors meet DICOM Part 14, AAPM-TG18 and DIN 6868-157 standards and include DIVA's superior Auto Luminance Stabilizer feature which continuously measures the brightness of the back-light. Its sophisticated algorithms compensate for brightness fluctuations during operation before they become apparent. The desired luminance is achieved immediately after system startup and stabilized over long periods of use. With Diva's ALS function, radiologists and clinicians can diagnose accurately and with full confidence. The Auto Luminance Stabilizer (ALS) is based on a built-in sensor and delivers a consistent viewing experience by maintaining the preferred luminance over display lifetime. Moreover,luminance levels are stabilized shortly after system startup. Streamline your workflow and assure high-quality diagnostic visualization through one touch calibration and reporting of luminance,color temperature, and gamma. The Self Calibration function is OSD driven and negates the need for connecting the display to a PC with accordant calibration software. Every diagnostic use display is attaching with a hardcopy of Quality report that contains the result of test options fitting regional accordant standards like DIN-6868157/JESRA.